At home and around the world. Providing healthy meals to seniors in China. Now more than ever, kindness matters. That’s why 1.4 million Lions in 47,000 clubs around the world are making a difference. Find a club near you. Kindness matters to Lions in China. Mrs. Chi is a lot like many elderly neighbors living alone. She needs a little help—and a little company—on occasion. And the Dalian TaiYang Lions Club in China is happy to provide both. But some occasions are more special than others. On her 93rd birthday, Lions traveled to her village of QuanHua to help her celebrate. “I’m so touched by the things that Lions have done to help me when I needed it most,” she said. Because kindness matters to neighbors like Mrs. Chi. We made one life better. Kindness matters to Lions in Norway. After terrorist attacks in Norway killed 77 people—including many students—Lions took action.  Lions are also part of something big—a global network of 1.4 million volunteers bringing kindness to the world. We helped 150 young people imagine peace. Kindness matters to Lions in Turkey. Nearly four million people—mostly children—fled Syria’s civil war, left with nothing but what they could carry. When nearly 300,000 refugees were settled in Adana, Turkey, Lions in Turkey and Sweden joined forces to help. Lions provided tents and meals for displaced families, providing shelter and hope. Refugees may have lost their homes, but Lions wanted to make sure they didn’t lose their children’s future. So Lions built classrooms to give refugee children an education and a brighter future. Lions serve in large ways and small, proving that kindness matters. Kindness matters to Lions in Japan. Poverty is a way of life for many children even in Japan, and hunger is a daily reality. Moved by the plight of childhood poverty in its own community, Lions in Tokyo partnered with Kids’ Door, and raised more than ¥656,000 to purchase much-needed kitchen equipment. Hot meals are now being prepared and served to underprivileged children so they no longer have to go to school—or to bed—hungry. Childhood poverty is a worldwide problem, and Lions are on the frontlines every day, extending a helping hand and serving up a little kindness. And we can do so much more when we join together in service. Ready for a little kindness in your life? Then join the global conversation or find a Lions club near you.